In a nutshell, baby-led weaning (also known as BLW) means ditching feeding spoons and letting baby feed himself. Technically, it’s a method of progressively adding complementary foods to baby’s formula- or breastmilk-based diet. Many parents follow a baby-led weaning diet without even realizing it, by simply offering bite-size pieces of food like avocado, eggs, and cheese, as opposed to purees. We encouraged our son to self-feed at an early age—it helped him feel confident and independent, and developed his fine motor skills as he mastered the pincer grip when handling his food. As simple as the idea is, some parents have a difficult time with baby-led weaning, either because they don’t know which foods are ideal for BLW or because they run out of meal ideas. My solution? Reduce stress and time spent in the kitchen by preparing one meal that baby and the family can enjoy! These are my favorite, easy-to-make nutritious recipes that work for both baby and older kids and parents at the dinner table. Offer baby a portion, then serve up a delicious side dish for the family at the same time. NOTE: As with introducing any new foods to your baby’s diet, always consult with your pediatrician regarding introducing solid foods to your baby and specifically discuss any foods that may pose allergy risks for your baby. The addition of freshly grated Parmesan adds a cheesy bite to every piece. 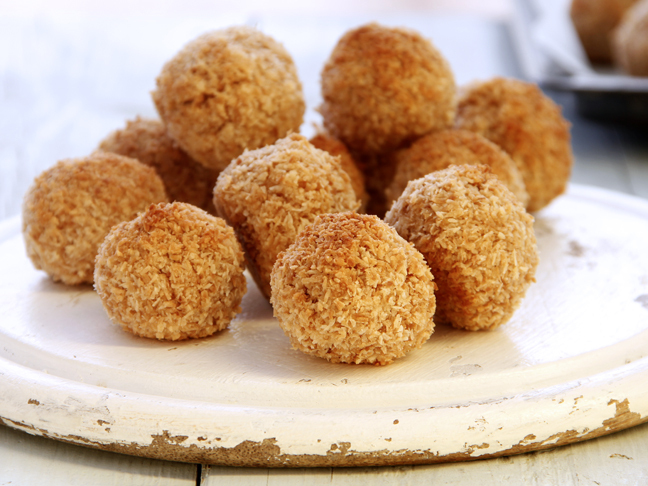 Serve these immediately to your family—they have the crispy crunch that kids love. Then, let a few cool down and serve those to baby. 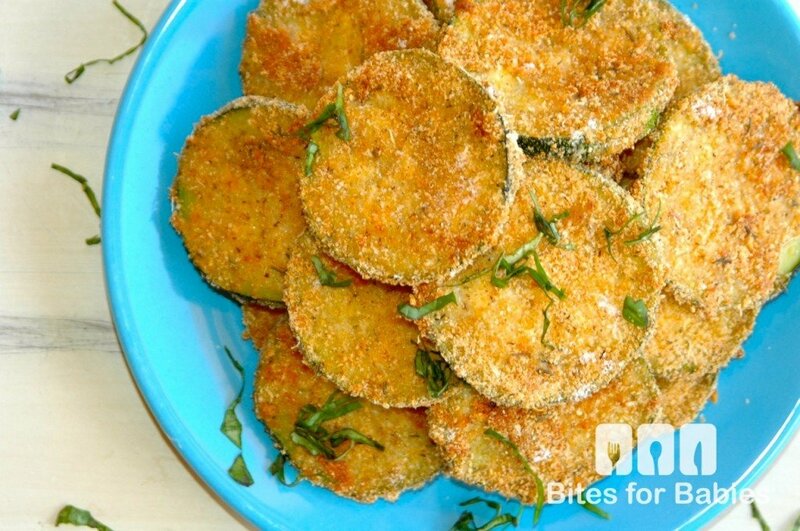 Get the full recipe for Baked Zucchini Medallions here. Unlike flour made from wheat grains, polenta (made from cornmeal) doesn’t contain gluten, so it’s a good food for those with a gluten intolerance. Give plain pieces to your baby, then offer a marinara dip for the rest of the family. 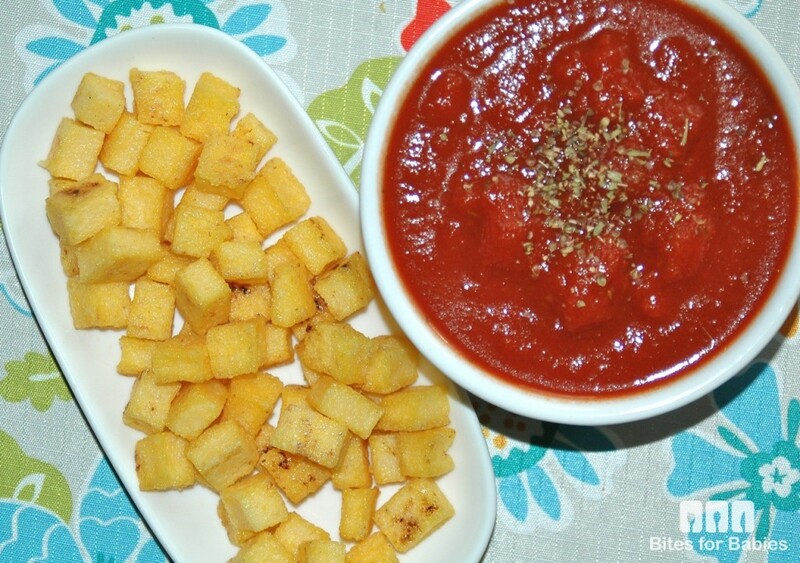 Get the full recipe for Crispy Polenta Croutons here. 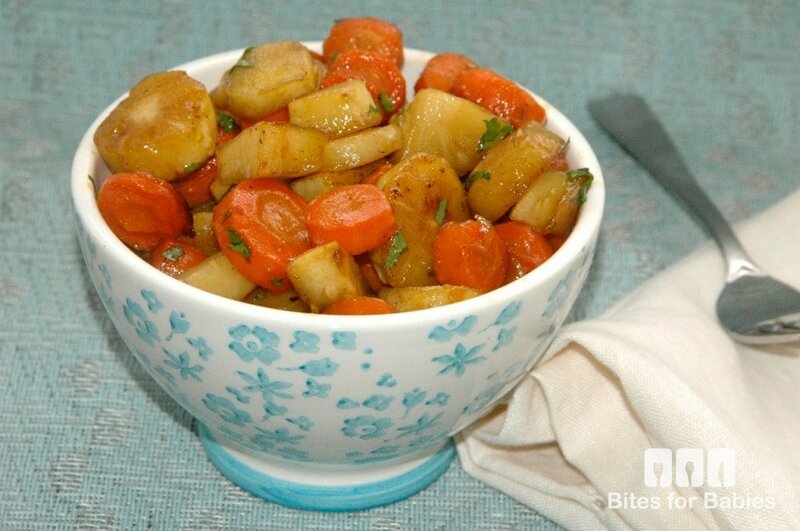 A fall favorite in my household, these veggies are naturally sweet. Get the full recipe for Maple-Roasted Carrots and Parsnips here. Punch up plain peas by adding fresh herbs and mushrooms. The peas are great practice for little fingers in training. 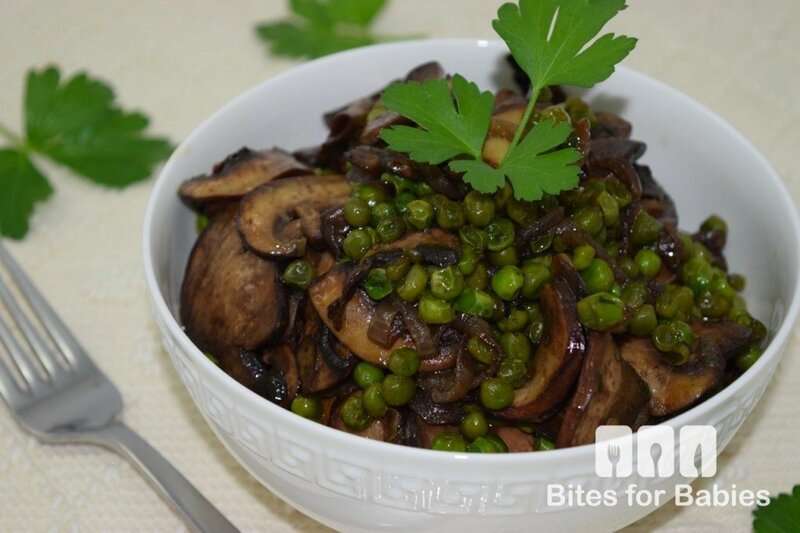 Get the full recipe for Sweet Peas and Mushrooms here. Chop up little pieces for your baby, and serve slices to the rest of the fam. 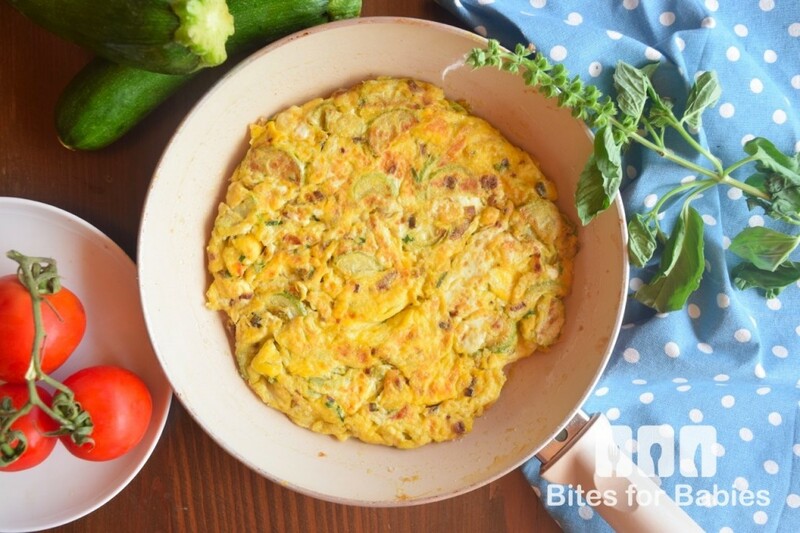 Get the full recipe for Zucchini Blossom Frittata here. These grab-and-go crustless quiches are easy for baby to grab—I even put some in lunchboxes the day after baking them. 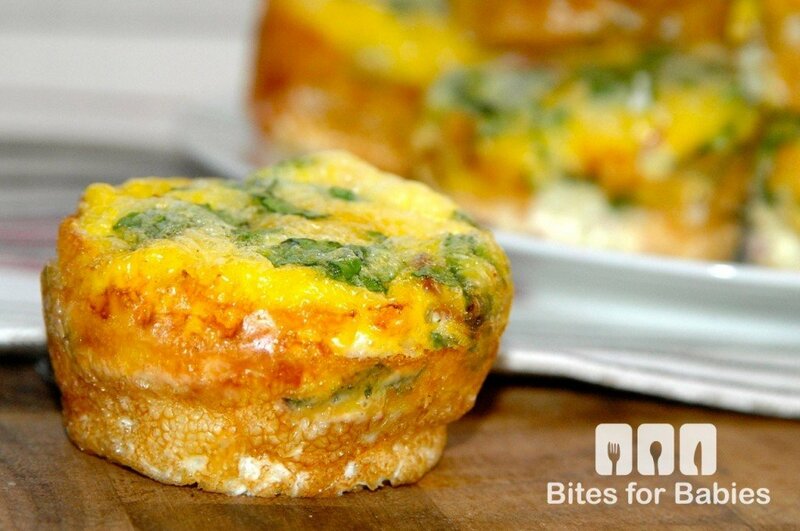 Get the full recipe for Mini Ham and Spinach Quiches here. More baby-led weaning ideas can be found here.